This 6-inch handset is powered by the Qualcomm Snapdragon 652, formerly known as 620, next to 3 GB RAM, 32 GB internal storage, microSD support, and has a generous 4000 mAh battery. 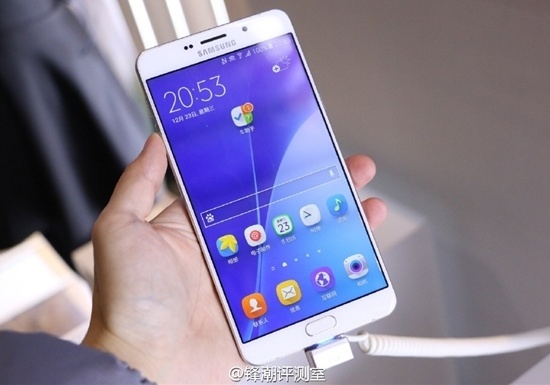 After months in the rumor mill, the Samsung Galaxy A9 phablet is finally official. Unfortunately, this 6-inch Android Lollipop-powered device has only been unveiled in China, and there is no information on its international availability and pricing yet. Although the Galaxy A9 is not a top-tier handset, it comes with a fingerprint reader and will probably get Samsung Pay support as well. Its price in China should be around $460 USD. We will get back to it as soon as Samsung announces it for the rest of the world, probably in January at CES.